One way we’re helping is through the ‘Adopt a Section’ initiative where schools become active partners in the management of a specific section of the park. Three local schools are currently involved in this initiative – Golden Bay High School, Motupipi Primary School and Motueka High School. The schools have successfully incorporated their learning into the school curriculum, with students gaining hands-on experiences and earning NCEA credits for a range of subjects – from art design and biology to physics and outdoor education. All of the schools have contributed greatly to their sections. Students and their families have helped with tree planting, dune restoration, bird releases and more. Teachers and parents say the education project provides clear learning benefits and the students enjoy the hands-on involvement and opportunities to interact with DOC and Project Janszoon experts. Work is now underway to extend the programme to more local schools. If you’d like education resources for your school, go to our Education Toolbox – you can even ask an expert a question! The iconic dune landscape at Anchorage, its estuaries and regenerating forest across to nearby Watering Cove, is Motueka High School’s special place in the park. 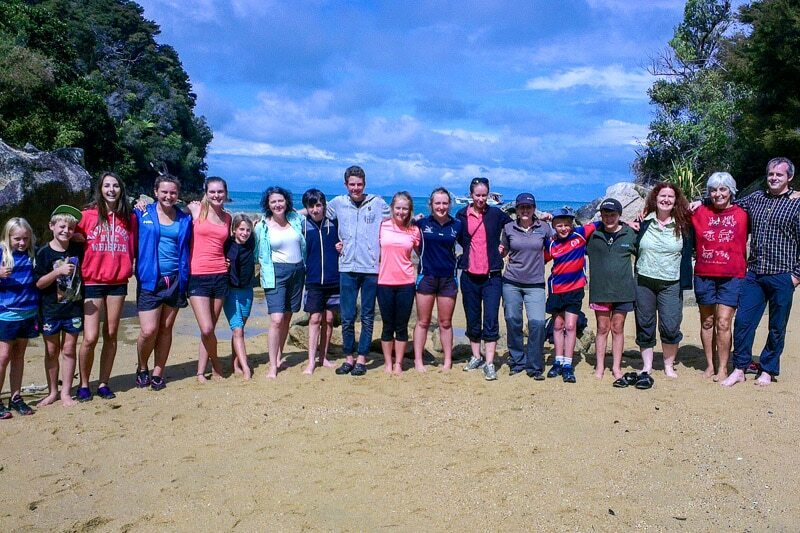 Motueka High School students and teachers have incorporated the Abel Tasman into every aspect of their learning. 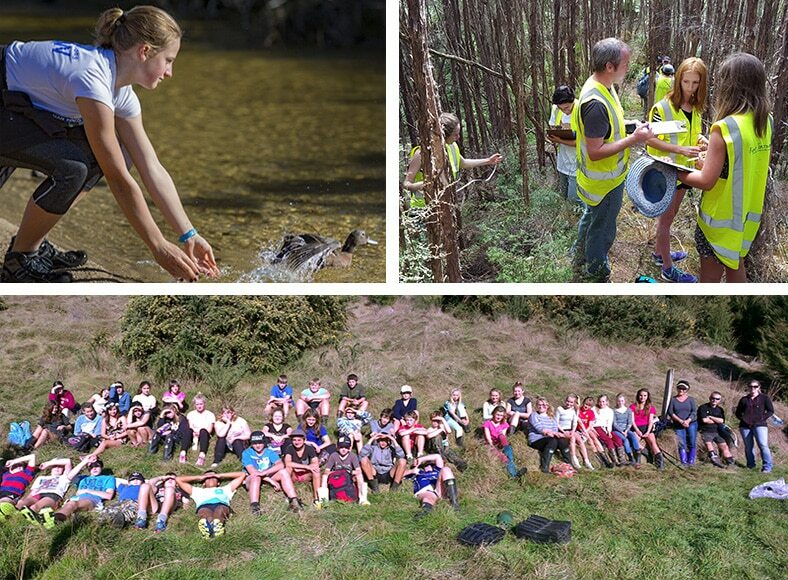 Students study subjects as diverse as biology, geography, media studies, design, science X, physics, adventure skills and outdoor education, and earn NCEA credits in a number of classes. The school has been heavily involved in the Anchorage dune restoration where gorse was removed and native dune species planted to reduce the fire risk in the area. Almost every class that visits Anchorage helps with the weeding and maintenance of the plantings – a job not as fun as planting, but just as important. 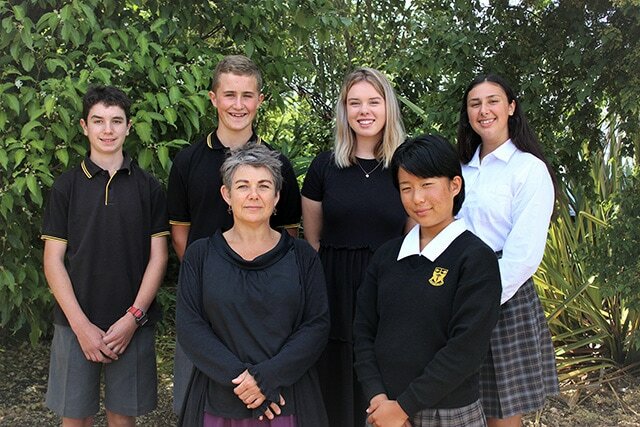 Students in the school’s supported learning centre–The Base–are also involved in the programme, and its whānau and media studies classes are planning to incorporate the Abel Tasman into their learning in the near future. 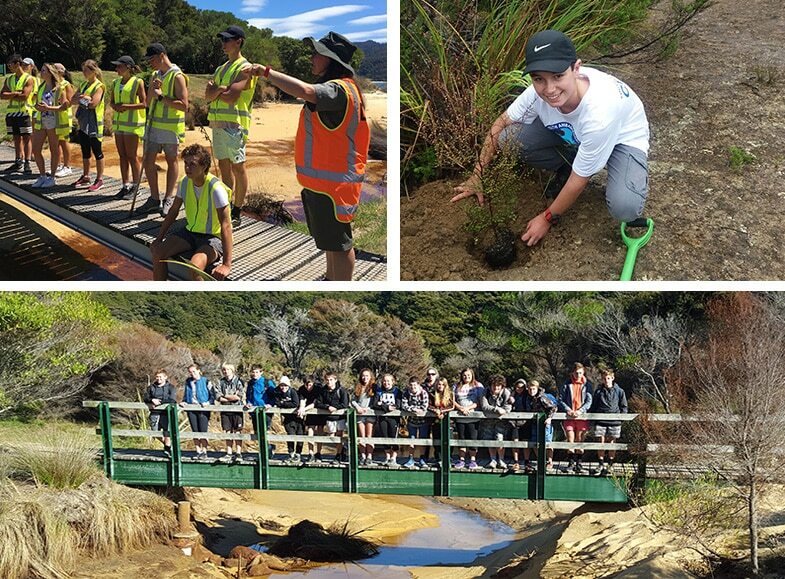 Hadfield Clearing is a unique site that provides a diverse learning environment for Golden Bay High School students. A former farm site, it has a small remnant kahikatea stand and is home to both the rare pāteke/brown teal and a major forest restoration project. The Awapoto River which flows through it, is a living lab where biology students can see freshwater ecology in action. Students can earn NCEA credits for their learning and one class has even stayed overnight at the site. The release of pāteke / brown teal at Hadfield Clearing was special for students and local iwi – Manawhenua ki Mohua. Students have opportunities to be involved with feeding and monitoring of the these rare dabbling ducks, as more of them are released over time. The students and their families have also helped plant many trees and flaxes at the site and, over time, will be able to watch the forest mature and know they were a major part of this restoration. Motupipi Primary School has ‘adopted’ the section from Wainui sandspit through to Taupo Point – one of the park’s most culturally significant sites. The history and ecological diversity of this section of the park provides students with a rich learning opportunity. The whole school is involved with the site, with students connecting their experiences in the park back to what they are learning in school. 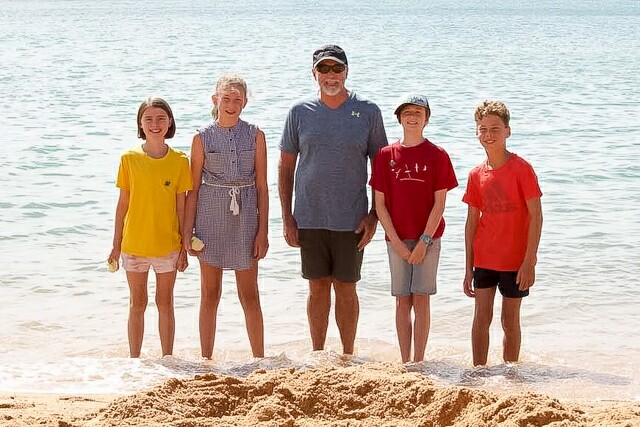 Younger students begin by learning about plants, native wildlife and pest animals on the sandspit; while older students are involved with monitoring of bird species, weta and plants and comparing how they change year on year. 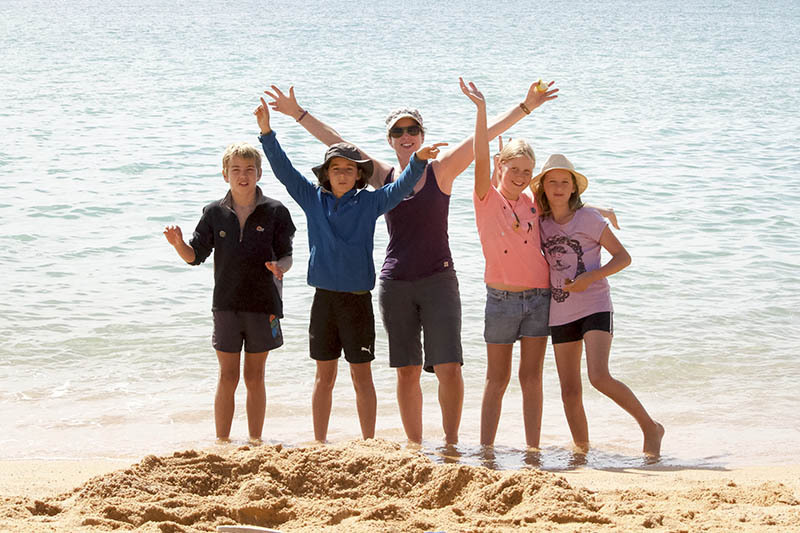 In 2016 they presented a site restoration plan to the Golden Bay community – an incredible undertaking for primary school students. 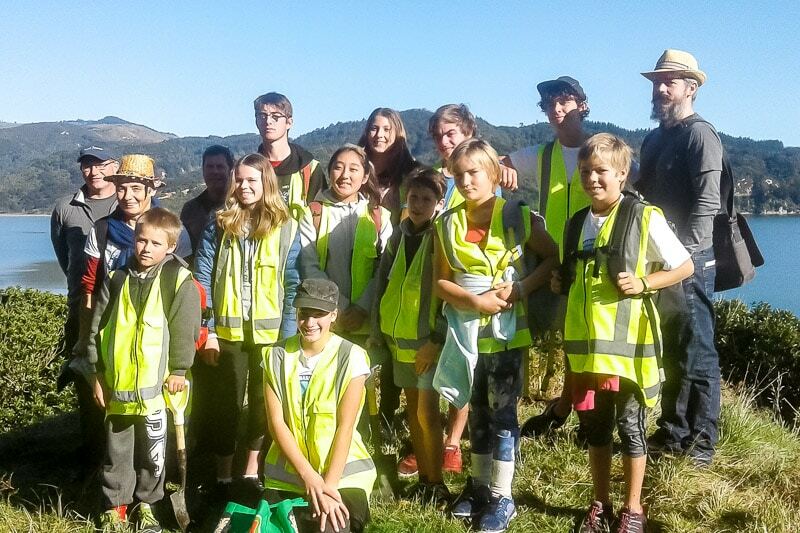 Wainui sandspit is a Fire Smart priority site and students and their families have also been working with DOC and Project Janszoon’s restoration supervisor to reduce the fire risk in the area. They have helped remove flammable plants like gorse, planned and undertaken planting, and carried out weeding. It’s fantastic to see how well the school has embraced this site and the learning opportunities it presents. While Lower Moutere School is new to the education project in 2019 they have an ongoing relationship with this area of the park. Since 2017 the school has been helping with dune planting at Porters Beach as part of Project Janszoon’s firesmart programme. Highly flammable weeds like gorse have been removed and dune plants like spinifex planted. Marahau is the southern gateway to the Abel Tasman. The 40 minute walk to Tinline skirts the estuary with its salt-marsh flats and Porters Beach. This area is one of the best places in the park to catch a glimpse of the rare banded rail. Ngatimoti School joined the education programme in 2019 and will adopt Bark Bay / Wairima as its special place in the park. This is an area that encompasses a large estuary and it was the site of a Māori settlement. It was named Bark Bay because the area was settled in 1870 by the Huffam family who harvested trees to use the bark in the tanning of hides and fishing nets. Wairima is the Māori name, meaning the hand-like channels leading inland from the estuary. 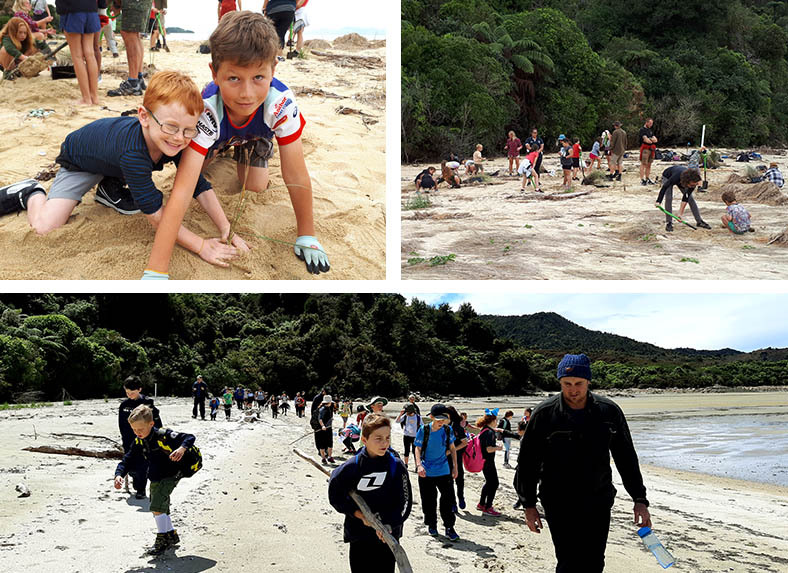 Ngatimoti students will first visit the site in April 2019 with Abel Tasman Sea Shuttles generously offering to transport them into the park. They are already monitoring the stream next to school and have plans to monitor water ways at their site and also help with planting in the dune areas. 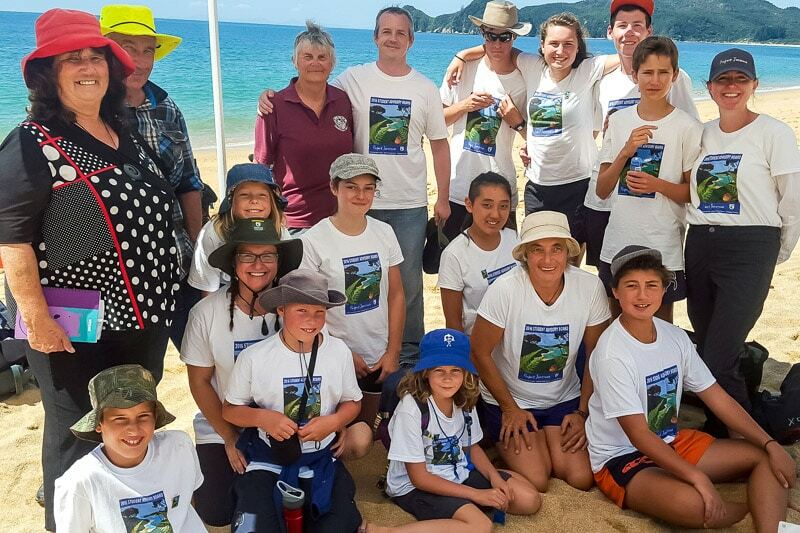 Launched in 2014, the Abel Tasman Youth Ambassador/Pokai Rangatahi (ATYA) programme is fostering the next generation of conservation leaders. 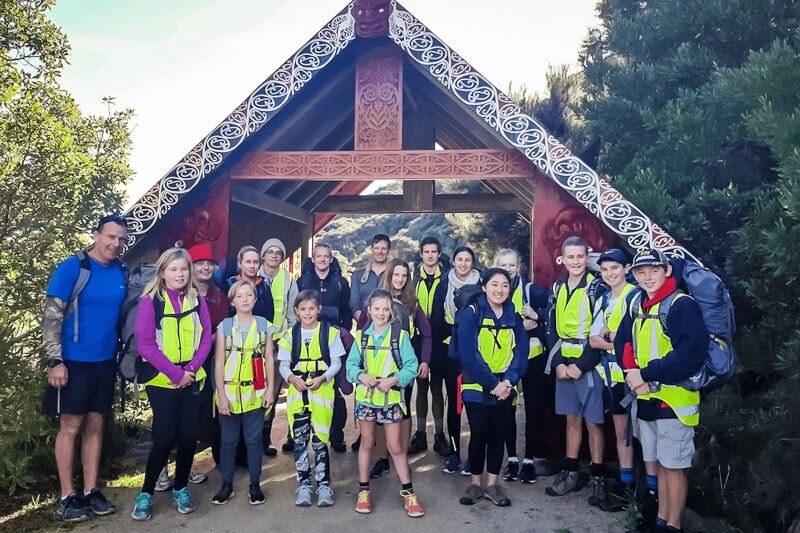 Students from each of our Adopt a Section partner schools apply annually to become ATYA members, with four representatives chosen from each school and two iwi representatives nominated by Te Awhina and Onetahua maraes. ATYA students meet at regular events during the year, including a summer and winter overnight retreat in the park. As well as team building and leadership training, they enjoy hands-on learning such as fish monitoring, animal tracking, spotlighting, tree planting and discovering the special places in the park. 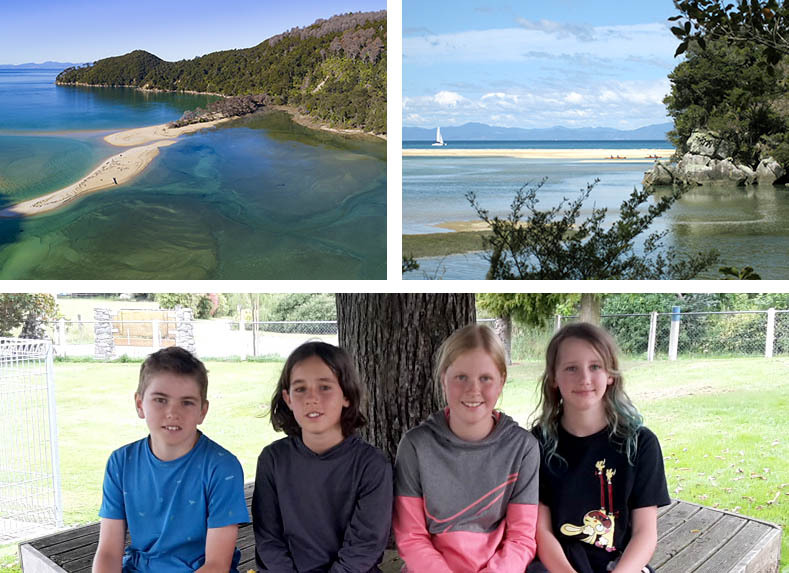 As youth ambassadors the students get opportunities to represent the Abel Tasman in a range of forums including the Sir Peter Blake Trust’s Youth Environmental Leadership Forum and Department of Conservation national youth hui. Teacher and iwi representatives are an important part of the programme so special thanks must go to Bev Purdie, Helen Young, Heidi James and Mark Mackenzie for their time and expertise to ensure the success of ATYA. Middle row – Helen Young, Heidi James (MHS), Pippa Struck. 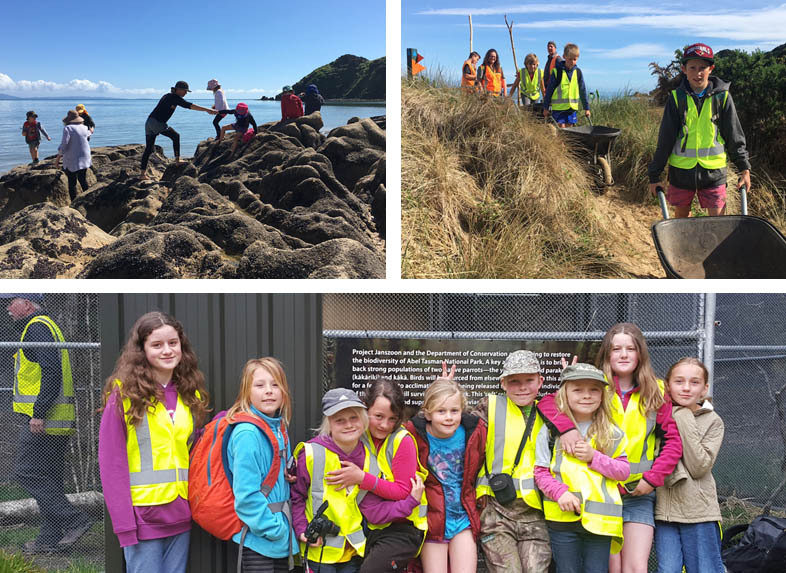 Abel Tasman Sea Shuttle has been a keen supporter of the education programme since the start, transporting Motueka High School students to their site at Anchorage and providing access for ATYA students to many areas of the park.